This is the lore of the planet Terminal, and all things pertaining to it. It shall be updated frequently, so please remain informed. Once government-dictated corporations in charge of different sectors of rule, the contractors have now devolved into mafia-like gangs. They battle with each other for control of Terminal, fueled by greed, a lust for power, and other motivations much more sinister. Selmalite - The corporate sector in charge of power and resources. Once a force of great strength, it is now the subject of scrutiny and violence from others because of the blackouts. They are known to employ random thugs off the street to add to their arsenal. "Selmies," a term used to describe these brutes, has come to mean any individual with more muscle than brains and a major sadistic bent. Selmies can usually be seen in blue overalls as a corporate uniform, though they are just as likely to be hidden among the crowd in typical clothes. Neuros Tavri - The corporate sector in charge of cloud management, networking, and intelligence. Much more subtle than the other contractors, Neuros has a tendency to employ hackers for the sole purpose of gaining the upper hand and blackmailing others. These "Knights" also work as network administrators and cloud programmers, handling the ever expanding framework of the Neuros Fi web. A growing fondness for linked implants have certainly given Neuros the upper hand, as individuals wearing one can be biohacked and used as servers, cameras, and databases of memory. Jagercorp - The corporate sector in charge of correction, law enforcement, and incarceration. They are smaller among the contractors, but greatly feared, as every field agent and enforcer in Jagercorp is trained and outfitted for combat. While Selmies will often start fights just for the sake of squabbling, Jagercorp officers tend to act with more of a righteous bent. The company sees itself as the bringer of justice in a lawless land, defending those they see as innocent and striking ruthlessly against any seen as a threat. They are not selfless, however; forget to pay your dues or speak ill of their acts, and you may find yourself in a small metal cube with only a tiny hole to breathe through. Axus Architecture - The corporate sector in charge of infrastructure, zoning, and construction. Axus keeps to its own much more than the other corporations, and could be said to be the only one that actually does their job properly anymore. They still extort the neighborhoods under their watch for money and labor, but the tithes are applied to growing and maintaining buildings and transportation. One might ponder that they are content with this simply because tolls and apartment rents are safe ways to make a steady income without angering the people below you. The more eccentric might add that they're planning something secret, and won't waste energy on meaningless violence. Mimicking the natural phenomena occuring in the great storms, the Technocrats introduced magnetic plasma induction in Terminal's early years. This quickly became an integral part of daily life, holding practical applications in everything from defense and travel to even cooking. 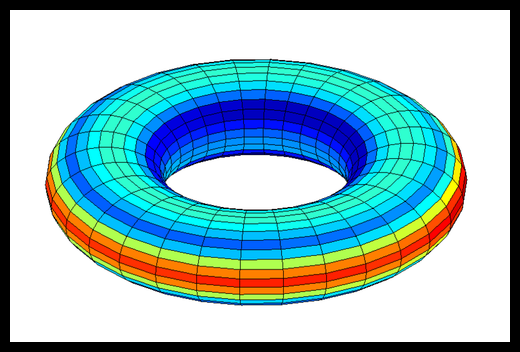 Essentially, an inert gas is passed through a electromagnetic coil, which both superheats the gas and gives it a magnetic charge. It is then able to be shaped and adapted by magnetic fields, while still maintaining its integrity and intensity of output. Weaponry has perhaps been the largest adaptation of this technology. Instead of relying on slow, heavy slug projectiles, modern guns have adapted to shoot tiny pellets carrying a locked magnetic field. A shell of plasma is wrapped around these pellets upon exit from the barrel, resulting in a long-range plasma bolt. These bolts are capable of melting through most materials, and are much less affected by gravity and resistance than their predecessors. In addition, fringe technology by Jagercorp has even introduced methods of manipulating bullet trajectory in path, making seeking/field controlled bolts a very real possibility. Plasma also finds its use in melee implementations. While it isn't able to replicate the pure-plasma blade so typical to the sci-fi combat aesthetic, it is able to create electrically charged 'blades' akin to larger versions of plasma torches. These are able to sear and melt most combatants, and are even capable of cutting given enough time and energy. They render most forms of fabric body armor completely useless, though a basic Faraday Cage-like overlay of mesh combined with thermal layers are able to deflect most strikes from a plasma blade. The most practical of weaponry in this style is a typical metal blade with an extended plasma field. This necessitates both typical body armor and the advanced electrothermal wrappings. In addition to the aforementioned use in inductive plasma, magnetic fields also find relevant use in transportation. Most forms of hovertech, including bullet metros and hovercars, work on the principle of locked magnetic fields. 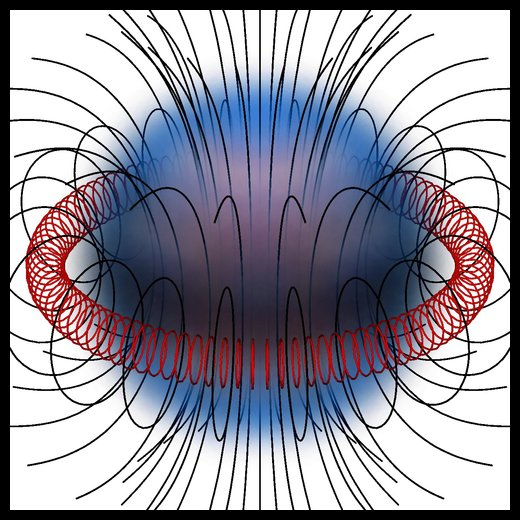 The need of a countermagnet is removed by tying directly into Terminal's own field, locking onto field lines generated by the planet's core ring's rotation. Hovertech is generally slower and much less easy to control than standard copters, planes, and landbounds, but it has the added benefit of being near impossible to shake and able to carry much heavier armor and weaponry into the air than their fuel-powered counterparts. Magnetic fields are also used in disabling technology through EMPs. Most high-end tech has built in mesh to defend against this, but a strong enough EMP bomb or cannon could surpass this and even melt the tech through inductive heating. EMPs are generally viewed as a last resort, especially by the more advanced troops like Jagercorp and Neuros. Let me tell you, an EMP on an individual with an implant is not pretty. Terminal's magnetic field projection. These lay lines are used for transportation. Terminal, the planet, is in the shape of a torus. This is an anomaly that, while very unlikely, is well within the bounds of conceivable physics. It orbits a white dwarf star in near proximity, with a near-parallel tilt of the axis to its solar center. The planet has an inner-ring core of molten iron that spins at high velocities, which generates a semi-stable magnetic field that generates dangerous ionic storms at each of the planet's pole rings. The ionic storms of the poles, massive enough to see the flashes of lightning from deep inside the city. A thermal projection of Terminal. The outer edge of Terminal is a scorching desert by day, and a frigid tundra at night. As such, it is devoid of almost all organic life. The surface on the wayside is interspersed with giant chasms that penetrate deep into the crust, hallmark signs of tectonic activity from a bygone age. Diurnal temperatures rise to 500 degrees centigrade (~930 degrees Farenheit), and nocturnal can fall to -180 degrees centigrade (~-300 degrees Farenheit). Massive winds often tear through the terrain, bringing dirt, rocks, and even entire boulders tumbling across in sandstorm fronts. The wastelands of Terminal's outer edge, barren and devoid of most life. Typically, the inner core of the planet would be equally inhospitable as the outer, but man's ingenuity has shaped it to his whims. What was once a dark, snowy, and deeply cold hole is now a booming civilization. Initially, the climate was near absolute zero (~-273 degrees centigrade/~-460 degrees Farenheit) but powerful heat lamps and air regulators, as well as a buffer wall to block the winds from the other side, have left the city a comfortable 21 degrees centigrade (~70 degrees Farenheit). There is an omnipresent wind drifting between the skyscrapers, but nothing like the torrential storms of the poles and outer edge. Terminal, the city of lights. Deep in the center of the city's streets, a massive tower of metal and neon glare rises high above the other buildings. This is the Nexus of the Technocrats, the last testament to their rule over Terminal. Though they have been gone for almost a century, it is rumored that they still live inside the Nexus walls, though the fortress' thick defenses prevent even the most hardened Jagercop from substantiating this. If one is able to make it past the barrier of ionized gas and haphazardly strewn cables, they must deal with the array of plasma turrets lining the tower walls. Even worse, there are reports of people who have gone missing in the Nexus' proximity, only to be found dead and dismembered gruesomely a week later. It wasn't always like this. 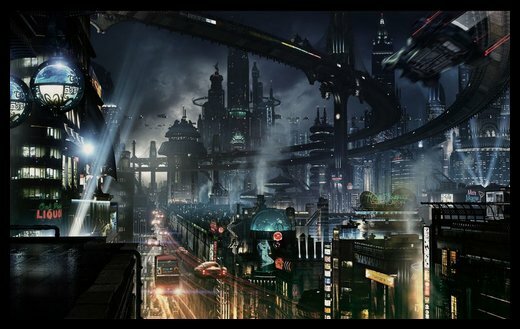 Once, the Technocrats were the rulers of the city proper, with the four contractors acting only through their will. They were dedicated to the improvement of Terminal, protecting the citizens in any way they could. They were not perfect, no, far from it, but they tried to act with the best intentions whenever they were able. There were ten in all, ten noble creators that never seemed to ill or age, revered as gods by the people they helped flourish. Now, in their absence, some have even built shrines in their honor, grasping at any straws left to try and bring the saviors back into the world. The first and indisputably most impactful event in Terminal's past is the creation of the lights, humankind's conquest over darkness. Everything before this is mystery and legend, but all events after have been recorded in full and striking detail by historians, bureaucrats, and novelists alike. The first thing to note is, as based on the human's preexisting circadian rhythm, the lights will dim and brighten over a period of 24 hours. This is uncorrelated to the rotation of the planet itself (a full rotation around the central axis takes Terminal approximately 41.56 hours), but on human biology trained in some bygone age. At the peak of the lights' dimming, considered 2400 hour, the city is cast in a twilight glow of 600 lumens per square foot (the equivalent of a 40 Watt bulb placed in every square foot of space). This is not taking into consideration any exterior building lights or signage. At the height of the lights' brightening, considered 1200 hour, they can achieve 10,000 lumens per square foot (akin to full sunlight in the Summertime). When the lights go into blackout, the atmosphere lighting hits 1 lumen or less, barely enough to read text from a foot in front of you. This residual glow slowly fades to pitch the longer the blackout lasts. 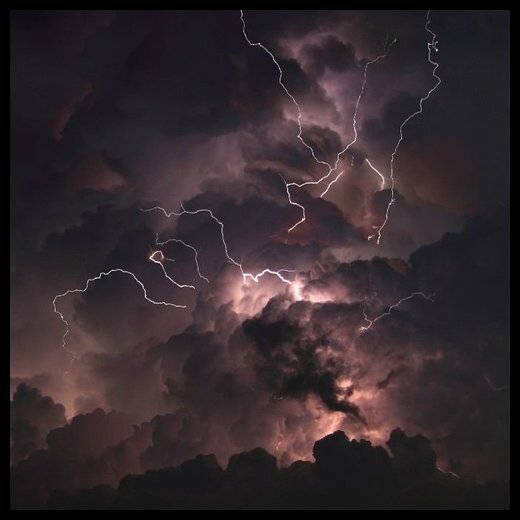 A full cycle of lightening and dimming is equivalent to one day, and approximately 365 day cycles is equivalent to one year. These numbers, while apparently wholly arbitrary and baseless in any natural phenomena of the planet itself, have been the tradition since the lights first broke the shadows. Every year since the first lighting is denoted with the acronym PL, for post-lights. Here is a basic timeline of events. 0 PL - The first lighting. 7 PL - Terminal flourishes. The first businesses begin to rise. 32 PL - The Technocrats abandon direct rule, opting in favor of a oligarchical bureaucracy of contracted businesses. Axus and Selmarus are established. Axus handles city design and infrastructure, Selmarus handles enforcement and utilities. 59 PL - Selmarus divides into two separate entities, Jagercorp and Selmalite. Jagercorp focuses on enforcement, Selmalite on utilities and utility maintenance. Selmalite retains a harsh nature, but the Technocrats keep them in check. 122 PL - Neuros Tavri is established with the creation of the Neuros Fi, a city-wide network of wireless cloud connections. The Technocrats work in close proximity with both Neuros and Axus, letting the other two contractors run semi-autonomously. 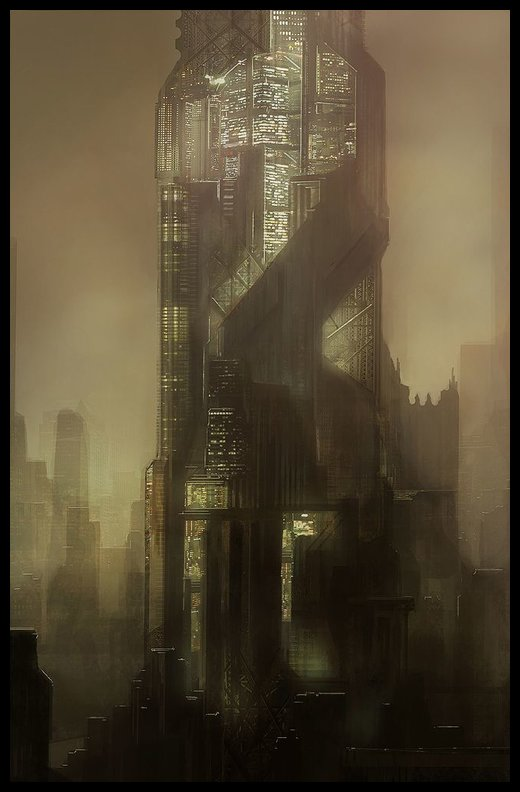 130 PL - Jagercorp is granted independence from the Technocrats for indefinite time, to better suit their objective, impartial enforcement of the city's laws. They are viewed as the most responsible and self-supporting. 147 PL - First mention of the term Selmies. Selmalite has grown much more strict and controlling, using hired ruffians to force careful management of utilities. An unofficial curfew is established after 2000 hour. Selmalite thugs and Jagercops clash frequently. 150 PL - The Technocrats give Neuros Tavri autonomy, hoping they can act as a watchdog surveillance against the two clashing companies. It works for a short time, until Neuros begins profiting off of selling information and vigilante hacking. 151 PL - The Technocrats withdraw from the Terminal public fully. Axus goes silent, suddenly increasing their security measures at an alarming rate. The other three contractors prepare for the worst. 192 PL - Selmalite forcibly acquires Neuros by threatening to shut down the power grid, quickly gaining new territories and influence. 203 PL - Neuros insurgents commandeer a large portion of the power grid. They are able to regain autonomy, but due to Selmalite's interference, they no longer hold the same prominence as before. The two companies battle for supremacy. 234 PL - With the aid of hired vigilante hackers, Selmalite is only a few decades away from breaking Neuros' defenses on the power grid. 247 PL - The first blackout occurs two months before lighting day. Panic ensues. 248 PL - Present year, four months in. This is when the roleplay begins. "Order is the cornerstone of a functional society." Originally formed from a portmanteau of the words "jagged" (in reference to the relatively unclean break from Selmarus) and "corps" (alluding to the militaristic nature), Jagercorp is the backbone of law in the land of the lawless. Since their formation in 59 PL and subsequent full incorporation in 60 PL, Jagercorp has been at the forefront of scientific development into small arms, self-defense, and high-grade weaponry. Not all members of Jagercorp are primary combatants; they have a strong research and development team, as well as several facet companies for manufacturing and detailing. However, every member of the company has had at least basic training in martial combat, and every member is expected to pick up a gun at some point in their life. First time initiates into Jagercorp are officially called probationary militants, but colloquially can be referred to as probies, promits, and (as an insult) newts. They are forced to undergo rigorous training of the body and mind, learning hand to hand combat, firearm training, and interrogation resistance within the first few months of their drafting. They are each assigned a personal rifle and body armor, and are expected to understand at least rudimentary maintenance to prevent wear and tear of the expensive equipment. After the three month boot camp, they are sent out into the field with a fully-fledged Jagercop as their partner and mentor. After promotion to a Jagercop in their own right, they have the option of taking one of four paths. The most widely taken route is that of a beat cop, patrolling the city and handling gang activity. Those with higher than average skill in combat and tactical knowledge might be accepted into the special operatives, an elite group tasked with assassinations, ring busts, and infiltration. The politically endowed may find themselves ascending the bureaucratic ladder, dealing with paperwork and internal operations. If one shows little aptitude for anything, or annoyed someone higher up on the chain, they are only found fit for the most rudimentary and boring of all tasks: Guard duty of the Cube Farms. The criminals deemed too good to execute but too bad to let off are placed in tiny cells only five feet cubed. These rooms are welded shut, cut off from all outside contact except through a hatch as big as a fist. The only running water is a tube in the ground for bodily functions, which has such low output and such high suction that one can barely get enough to drink, let alone wash themselves. Once a day, or twice a day for the well behaved, the guards will slide a nutritional supplement tube into the cell. This is enough to keep the prisoners barely alive. Needless to say, suicide by concussive trauma is more common than seeing a sentence to its completion. All trials are military tribunals, held at differing levels in the bureaucracy for differing severities of crimes. Common thieves and ruffians will be tried by a jury of typical Jagercops and a district captain for a judge, while captured ganglords may find themselves surrounded by the five deputies and Chief Frederick Grattos himself. "We, the structure of humanity." >Buffer fail. The requested data file is corrupt or encrypted. Calling Selmalite a faction is giving it more credit than its worth. Perhaps, when they first split from Selmarus, they may have had some lingering semblance of a corporate group, but nowadays they're little more than syndicated resource hoarders. Even the 'syndicated' bit is iffy, seeing as Selmalite is the least structured and most sporadic out of all the other contractors. Firmly contrasting with the rigid Jagercorp, Selmalite has no clear delineation of rank or scale, relying mostly on a casual system of respect. Respect for power, respect for skill, respect for utter ruthlessness. Of course, this doesn't man they're lax. Not in the slightest. Unlike Neuros, where everyone's a friend and speaking your mind is encouraged, the world of the Selmies is confusing, chaotic, and dangerous. It's a constant game of vigilance, one where an intuitive understanding of everyone's 'place' is the strongest tool to have. Because of the lack of formal structure, Selmalite tends to factionalize internally, dividing into local chapters that squabble amongst themselves for control. It's a constant struggle for more influence, smaller chapters often ganging up on larger just to wrest some regional influence from their hands. They frequent the old power facilities scattered throughout the city, but chapter houses can also be found in residential buildings, clandestine store fronts, or the undercity itself. Of course, not even Selmies have the nerve to venture to the deepest depths of Terminal, but they're perfectly content lurking around the edges, extorting those at the brink of the shadow and the light alike. Despite the glaring unprofessionalism, Selmies have picked up on a variety of skills that help keep their syndicates running. They have the most diverse set of talents out of the contractors, largely because they need them to survive - the world is against them, and they're against the world. Anyone is accepted with open arms, regardless of their history or aptitude, also making them the contractor with the largest member base. Adaptability and raw might in numbers are the keys to Selmalite control. Generally, unless you're lucky enough to be living in one of the rare Neuros-controlled neighborhoods, Selmalite is in control of your basic utilities. As long as things are paid off, there's little issue, but miss one bill and you may just find an enforcer knocking at your door. Enforcers are the backbones of Selmalite's operation. They ensure smooth running of a chapter's turf, and make up the brunt of each chapter's offensive force. Ex-Jags, fugitives, black market assassins - any sort of folk find their way to the yellow flag, ragtag coalitions that are unpredictable in both operations and effectiveness. While one chapter may be mostly made up of common thugs, another might have access to militia resources, posing a much more imminent threat to anyone against their goals. There are entire neighborhoods Jagercorp has abandoned, only because they have neither the means nor manpower to scour all Selmies from their streets. "Fidelity, prosperity, ingenuity, and a whole lot of coffee." Neuros is much unlike the other contractors. Though all of the divisions have their unique features, from Jagercorps' strict adherence to Selmalites' thuggish syndication, none come close to the sprawling, intermittent chaos that Neuros exemplifies. They are the least organized of the contractors, and have the least central direction by which to judge them. While Neuros Knights may work in group projects with common goals, for the most part, every individual within the group will have their own ideas, motivations, and work methods. What binds them all isn't a mission or a service, but a common strength of ingenuity and curiosity combined. The methods of entry into Neuros are highly selective. Their main locations of operation are few and far between, and those that do exist tend not to be public information. Selmalite would do anything to shove Neuros' hand off of their section of the powergrid, so a good amount of discretion for firebomb-wielding enforcers is needed. Because of this, you can't just walk into a known Neuros hub and ask to be hired. Instead, Neuros seeks out to contact those they feel have the right amount talent and free spirit to work for them, generally in cryptic ways that serve as a test of intellect to solve. An encrypted file loaded onto the targets computer, perhaps, or important images flashed momentarily off of their ONIs. Due to the high bar for acceptance, many cunning individuals seek to make a profit off of young, eager upstarts looking to shine under Neuros' watchful eye. Many of these training camps, dubbed "Scamps" (scam camps) by tongue-in-cheek dissenters, put up fliers advertising the skills necessary to become a Knight or even advertising tutelage under Neuros members themselves. Though it's common knowledge that Neuros operates in full secrecy, people with too much money and too little sense still pour into these lessons in the droves. There, they learn rudimentary mathematical principles, basic coding, and some engineering expertise; not even enough to train them for a job as a Help Desk worker, let alone the lofty heights of technological Knighthood. At the top of the chaotic food chain that is Neuros Tavri rest the Regents, an amusingly imposing name to give to a group that wear more pajamas among them than a five-year-old's slumber party. They control the funding and official backing of the various projects different Neuros devs might be working on, as well as make sure any necessary work will get done in between all the fun things. Without the Regents, Neuros Fi infrastructure would collapse due to mismanagement within a month. Lotus Anwat heads the Regents, and while Neuros doesn't have an official leader, she has the most influence and reach within the organization. It isn't all work, of course, and there's often more fun than actual labor. Despite the impressive spread of attitudes among Knights, Neuros has gained a reputation for being a guild of brash pranksters. This is perhaps due to that sizable group being the most outwardly visible to outside observers. There's a story often circulated in Neuros email threads about a poor sucker who answered a flier for lessons in "Penetration Testing," only to be redirected to the number for the local brothel.